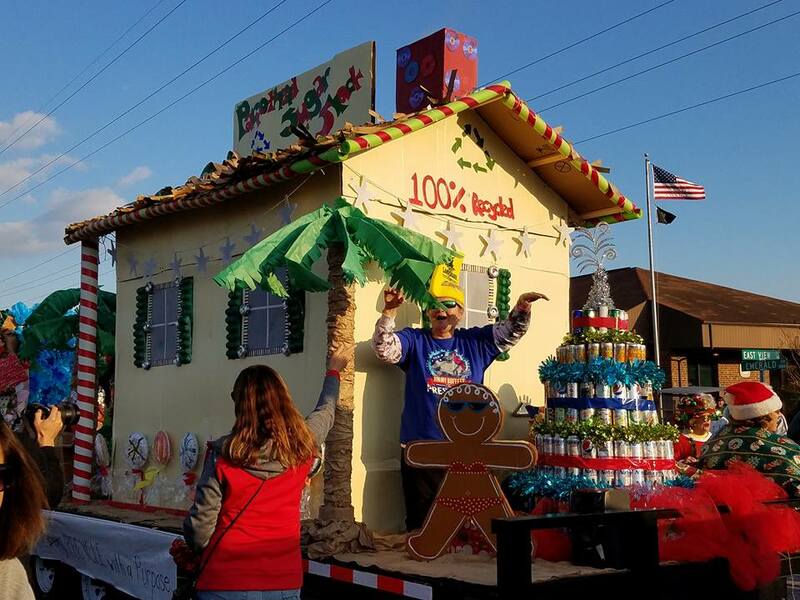 Parrothead Club takes First Place in EI Christmas Parade! Back to our winning ways again this year, the EI Parrotheads take first place with our Recycling Float. Winnings will go to Family Promise Program, serving homeless families of Carteret County. Our float was made of recycled materials (cardboard, carpet rolls, umbrellas, cans and bottles, plastic bags etc. Costumes were also recycled materials with everything from old tablecloths, trashbags, garbage, old snack and candy bags to name just a few. Parrot Heads Party (Recycle) with a Purpose!